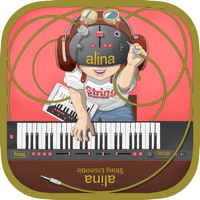 Alina String Ensemble is a musical keyboard application for iPhone/iPad/iPod touch that simulates the Solina String Ensemble. 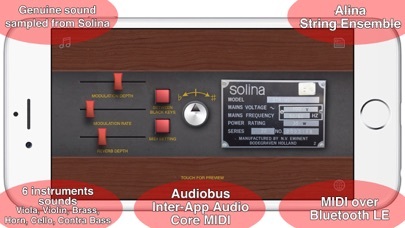 The sound is in reference to Solina String Ensemble (Serial number "SERIES 22, No.0093158”) manufactured by N.V. EMINENT BODEGRAVEN HOLLAND in the 70’s. 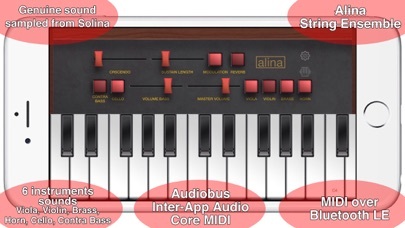 You are sure to be surprised at the real sound generated from this App.